I love your choice of colours Pat, the red against the fresh green really looks lovely. This is gorgeous Pat, the image is delightful. I love the colours and beautiful detailing too. Lovely 'LOVE' Card! Fab image. Gorgeous card Pat, love the sweet image and pretty papers. Beautiful card, love the cute image. Pat what a great card I love the image you picked and the colour scheme you have chosen. This is so cute Pat - the design is smashing and the papers are delightful. Of course you are using one cute image!! 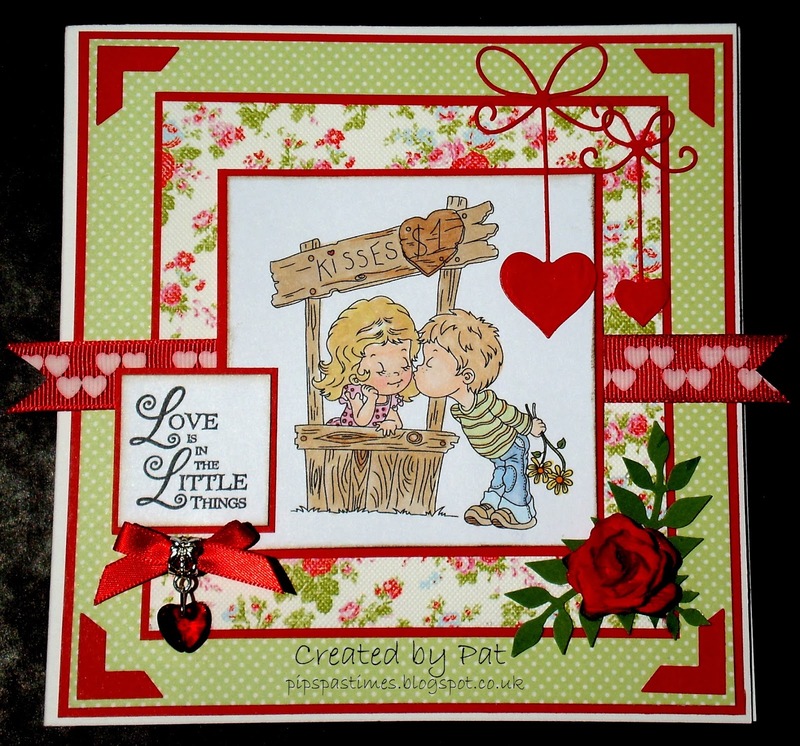 What a gorgerous card Pat.... great to see you've used a TPS image; love this one.... soo cute!!! Your card design is just fabulous!